significant breadth of data going back to 1985 or earlier in an accessible form. However, they lack an interface between these two parts. Design sample stories for an interface for at least a few of their existing datasets that precisely and intuitively communicates data relationships to the user. Demonstrate with a sample prototype that cover a few elements from the ideas. 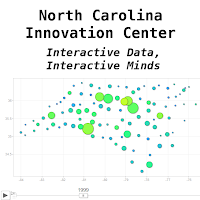 A number of data visualization tools were considered that would both innovatively and intuitively display the sample data. 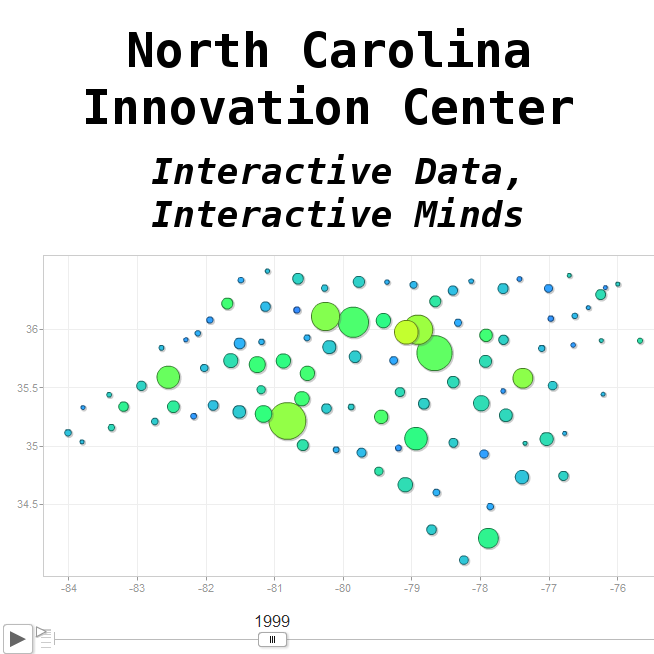 Most ideas revolved around using a base map of North Carolina and geotagging the metric to the respective county. We have considered both static as well as interactive solutions that would make use of the touch interfaces that our clients have.